This is the story of Petunia, the luckiest duck out there. If you wonder why, wait until you learn more about her life. Chantel Grant, Petunia’s human mommy, is known as the duck rescuer. The Minnesota neighborhood where she and her family live is full of birds of this kind, and Chantel always makes sure they all stay safe and sound by helping them get around. She recalls helping lots of lost ducks and ducklings find their families whenever they would wander into her yard. She once spotted one little baby duck behind a neighbor’s pool. She took the lost soul and drove around until she found its mommy. Although she loves these waggling creatures with all her heart, she never though she would eventually end up owning one. 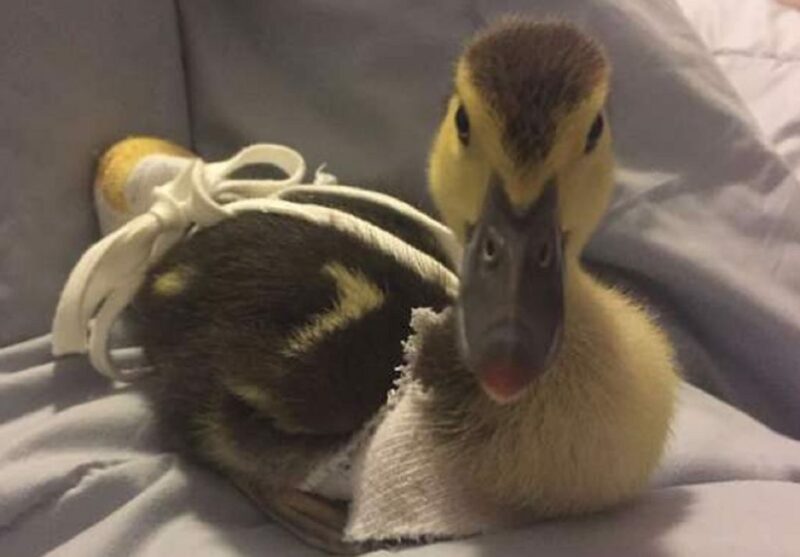 One day, Chantel noticed how a mother duck laid eggs close to her house, and seeing the babies hatch filled this woman’s heart with joy. After some time, however, she got home to see how the duck family was gone. But, they somehow left one of the eggs behind. Chantel tried locating the family, but she failed doing so. 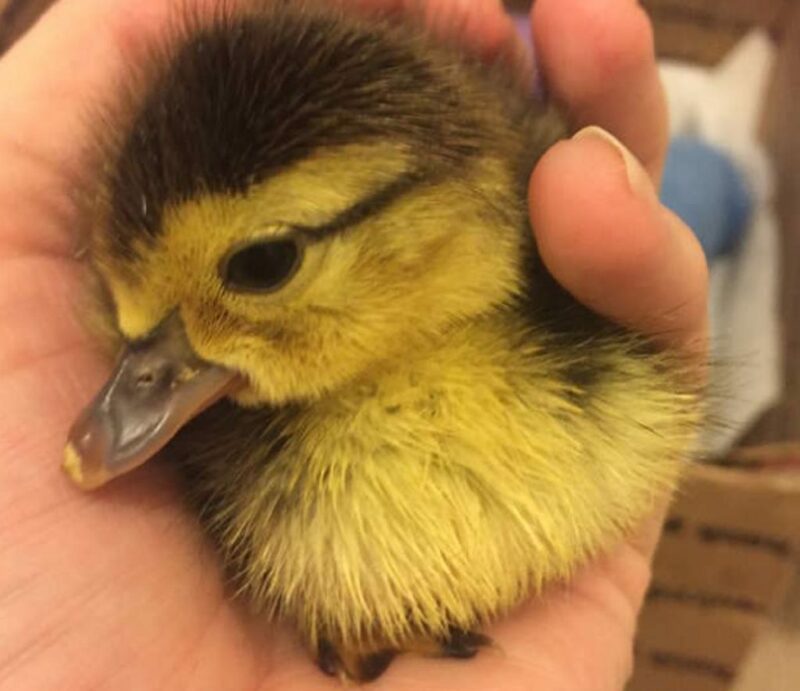 She was left with a duckling and had no idea who might take care of it. 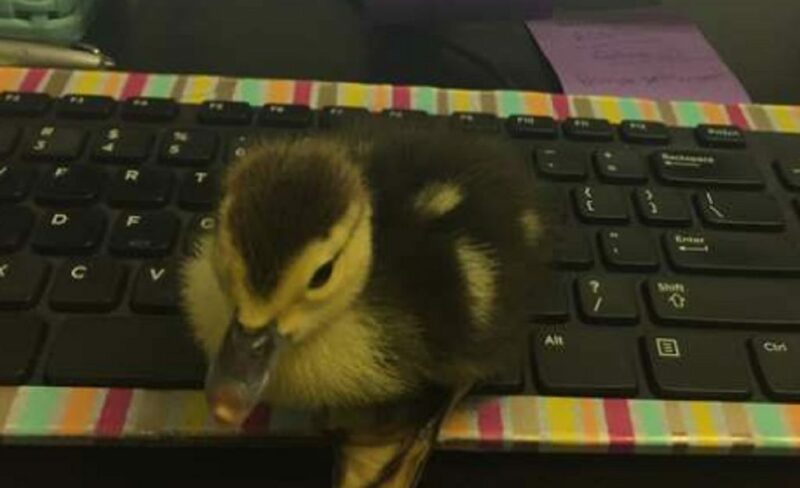 This duck rescuer then got this idea of contacting an animal rescue center and ask if they would be willing to take the baby in, but what she got as an answer left her overwhelmed. And that is how Petunia got adopted by the Grants. Now this lucky duck is living the life every animal dreams of. She’s showered with affection and love by her human family and enjoys all the luxuries they provide her with. 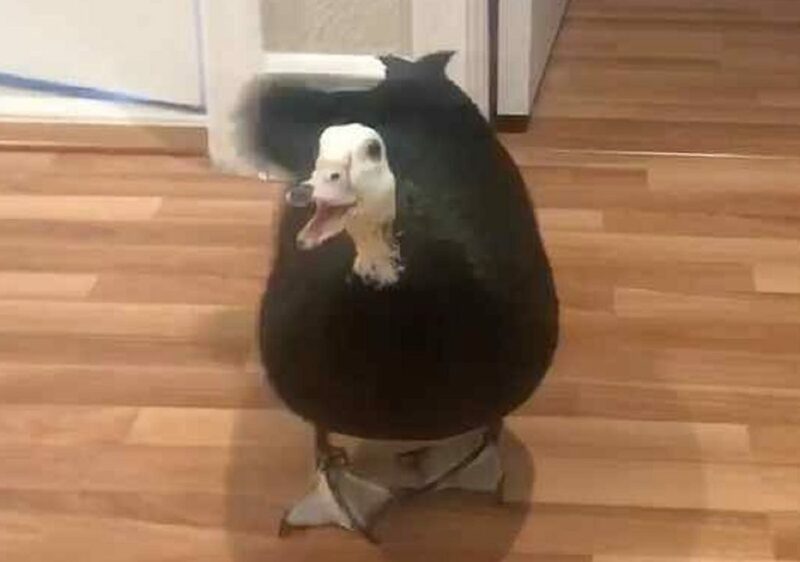 She even has her own bedroom with a door sign that says, “Beware of Guard Duck.” Although she has her own room, what she loves the most is sleeping in her parent’s bed. When she’s not accompanying her mommy at the law firm where she works, she stays home and patiently waits for her humans to return, and when they do, she meets them at the door and wags her tail like a dog. Petunia just loves snuggling with them. The evenings are the best part of the day, because that’s when everyone’s home and Petunia takes a bath. Did we mention she loves taking baths more than anything else? This sweet duck is lucky to be part of a family that loves her so much. After seeing the video of Petunia greeting her mom, you’ll want to adopt a duck yourself. When you think about it, it would really be a lovely thing to do.